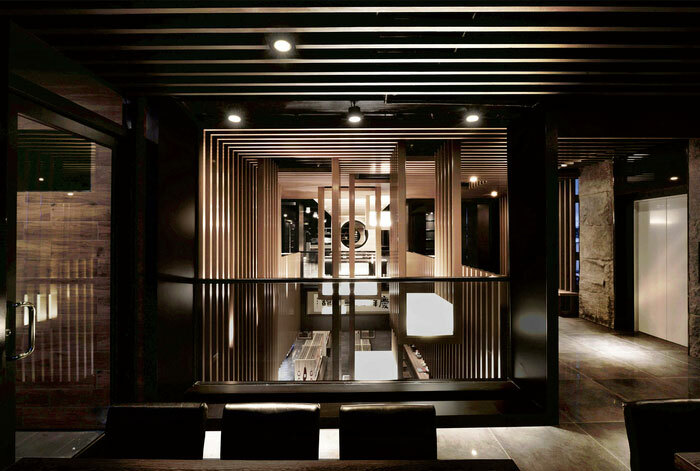 Nothing gives a restaurant design a more cohesive look than a clearly defined theme. Sometimes, the theme can be as simple as choosing a shape and use it repeatedly across the interior space. Whether this shape appears in the structural details of the interior or in accent pieces such as tables, chairs or wall decor, the reiteration of the same visual motif in different areas of the restaurant brings a space together. 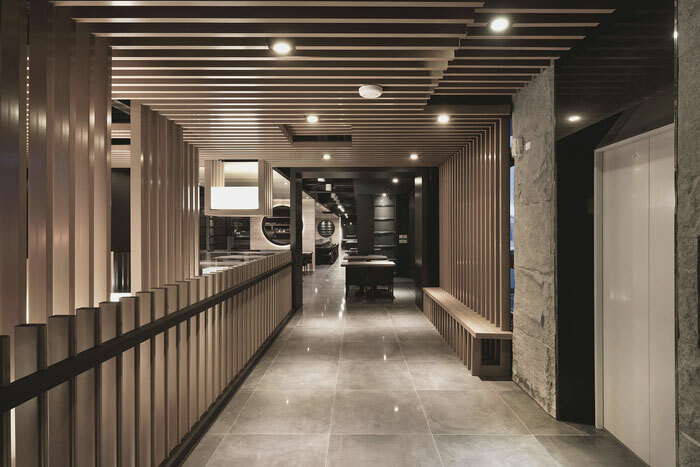 Here are two perfect examples of using theme and repetition as a unifying element in restaurant design. 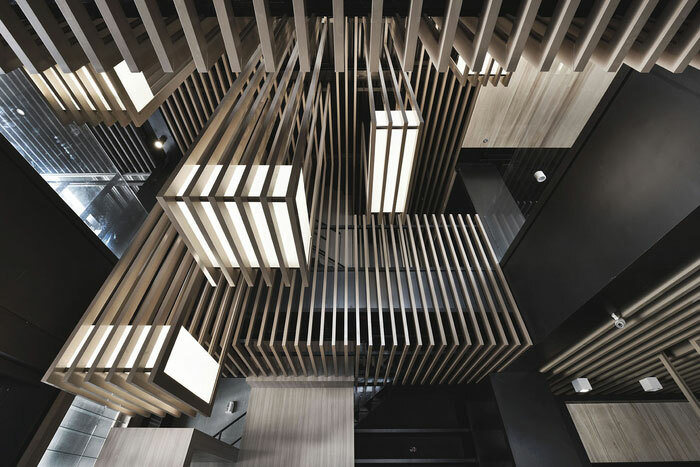 Created by Banty Interior Design Enterprise Co., the Chi Shya restaurant in Donggang, Taiwan, makes use of large wooden rectangular frames arranged in symmetrical sequences. The groups of rectangles are strategically placed to accentuate an area or become part of another element of design, like the light fixtures. Because the rectangles sit close to each other, each group looks like the echo or reverberation of the same shape, which gives the place a dynamic look. 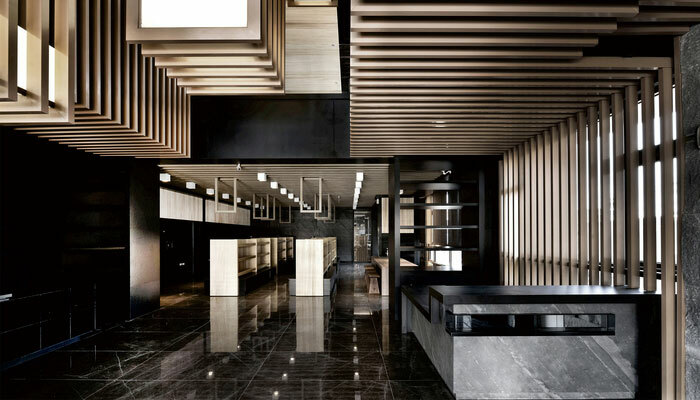 Walls and ceilings are also lined with pieces of wood, with the same geometric effect. Some of the wood sequences create dividers between functional spaces or separate dining areas. Surprisingly, this constant repetition of straight angles and hard lines does not make the interior look cold or intimidating. Instead, it gives it a warm, appealing character that the simple concrete, brick and tile interior would have otherwise lacked. 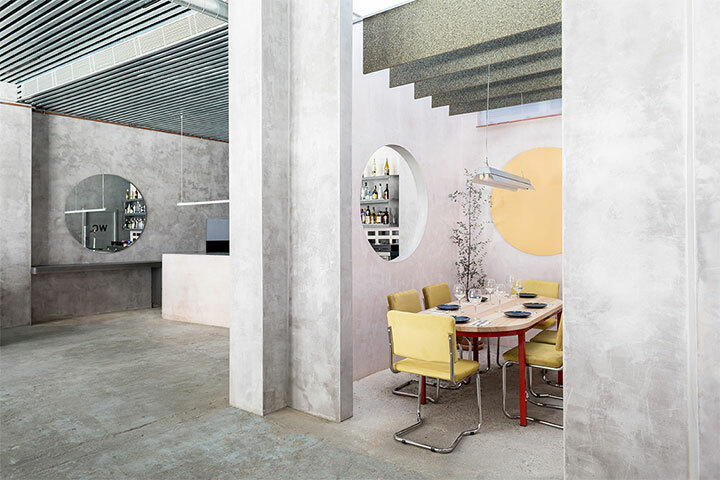 A different approach but a similar geometric theme is used in the Casaplata restaurant and cocktail bar designed by Lucas y Hernández-Gil in Seville, Spain. 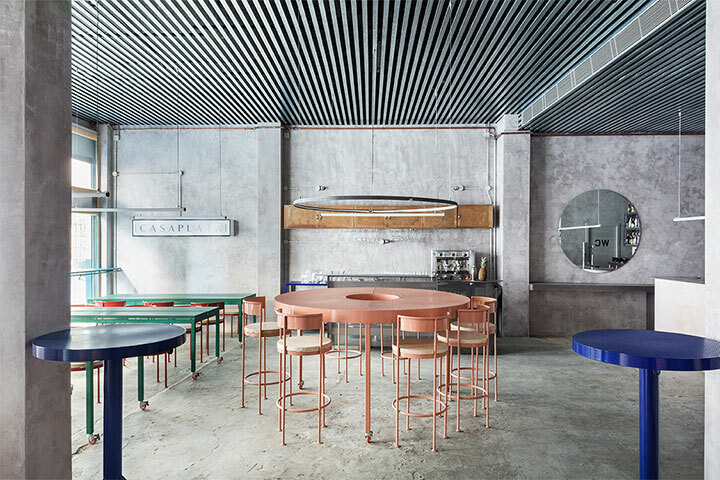 Here, the concrete background, exposed pipes, raw surfaces and industrial look are softened by the repetition of circles. The shape of the round tables and stools continues in that of the mirrors and wall decor, the metal decorative accents and even in the contour of a wall cutout. 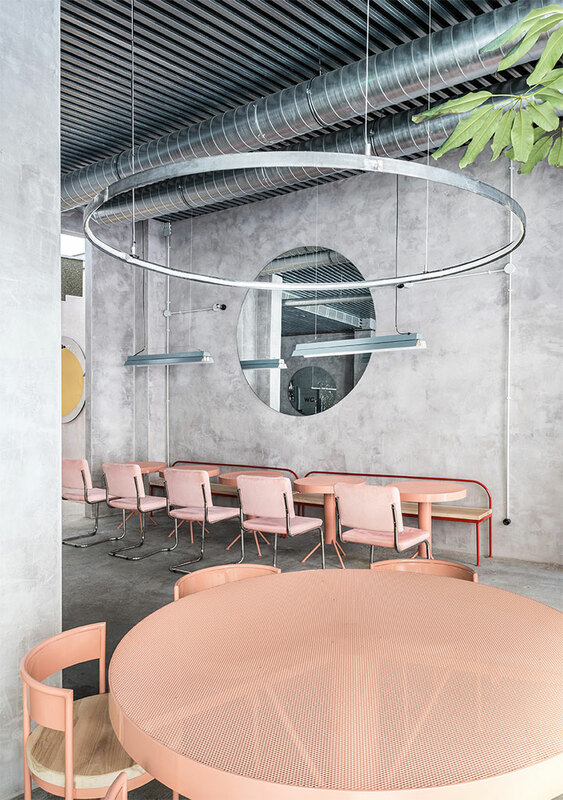 In this calculated display of curves and circles, even the round exposed ventilation ducts become decorative, by integrating perfectly into the restaurant design. The combination of harsh lines and soft circles continues with the placing together of rectangular tables and round enveloping metal chairs. The same balanced design is present in the mix of soft pastel colors and raw concrete texture. This is a perfect combination of feminine and masculine elements of design achieved through shape repetition and a balanced color palette.